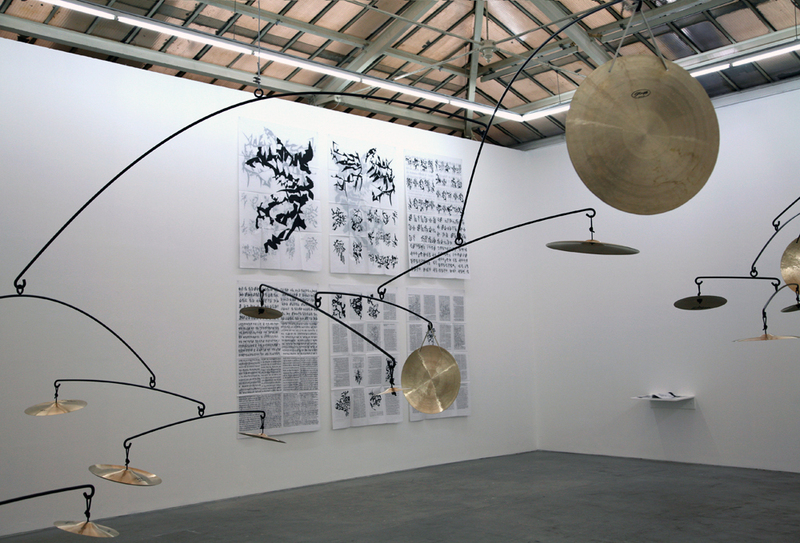 Installation of three hanging mobiles with cymbals. Steel, cooper and epoxy paint. 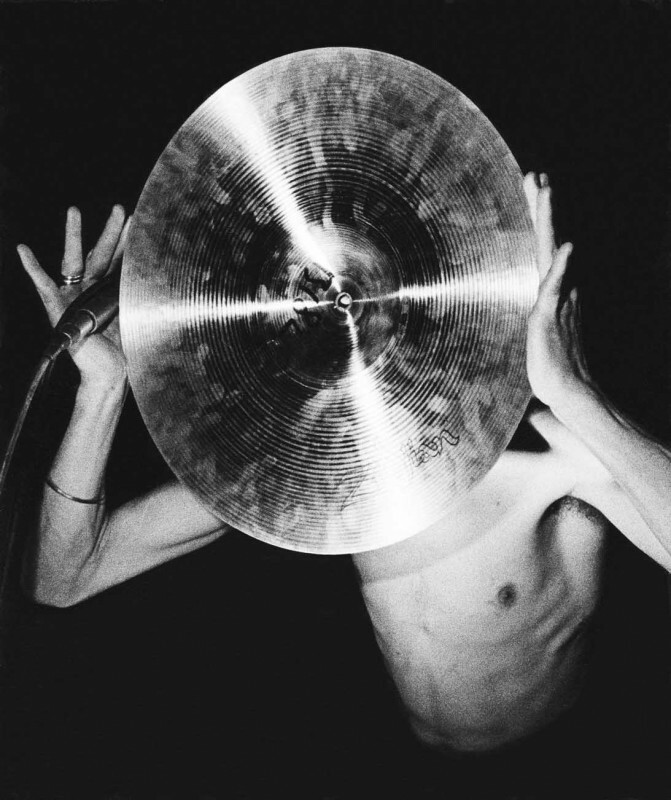 Approximately 5, 7 and 5 meters diameter. 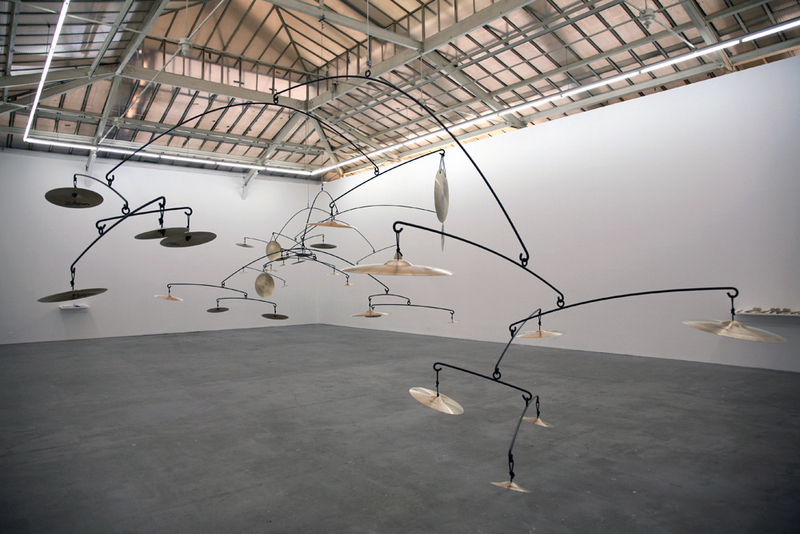 “We’ll See How All Reverberates”is an installation that is based on the organic shapes of the mobiles made by Alexander Calder. 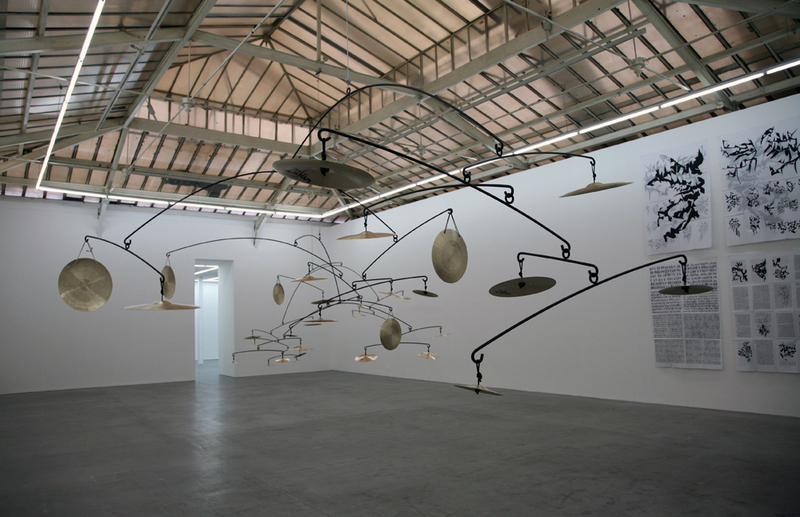 Instead of hanging abstract forms, from the mobiles are suspended about thirty-five different cymbals, the installation thus becoming a musical instrument. 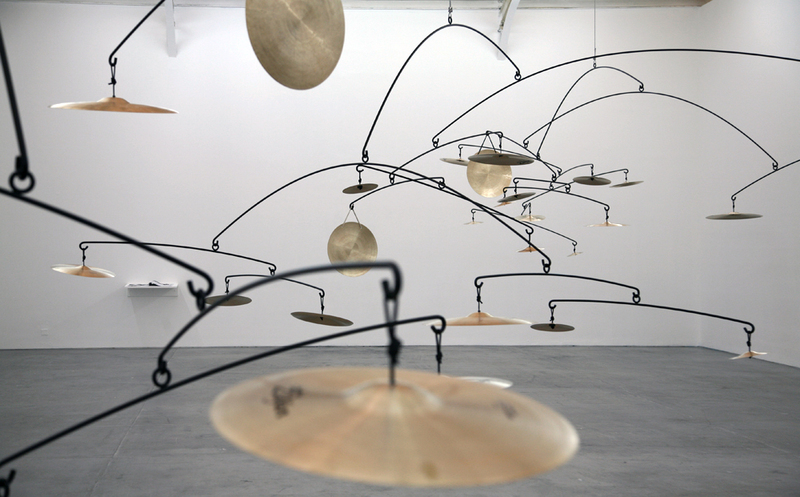 The cymbals are meant to be played by the exhibition’s audience and also by musicians. 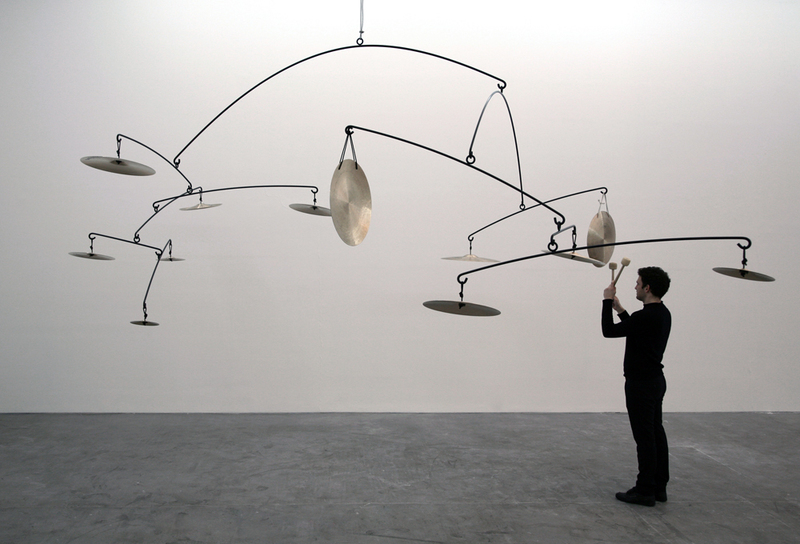 This installation suggests a state of quietness that by being played by an audience can become either harmonic or chaotic.